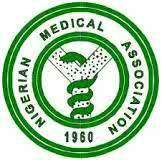 Members of the Nigeria Medical Association, NMA, yesterday, called off the strike it embarked on, Monday, following deductions from their salaries by the state government. The doctors called off the strike after reaching an agreement with the state government. But the association said that the 21 days ultimatum it earlier issued to the government to fix the problems confronting the health sector would expire on January 26, warning that members would not fail to embark on another strike if the government fails to meet their demand. Edo State chairman of NMA, Dr Emmanuel Ighodaro, told newsmen in Benin City that the state government had agreed to pay the money deducted from their salaries, hence its members would resume duties immediately while they await government’s response to their earlier demand. “On Wednesday, government met with NMA, where the issue of no work no pay was resolved. They have also resolved to refund it immediately and members have resumed work as at 8 am today (yesterday).The good news is that the government also agreed that the issues raised in our ultimatum are germane and very important to the improvement of health care delivery in the state and on that basis, we believe that is a good development and in line with our demands. “With that, the government has also agreed to set up a high powered committee to sit down with NMA and take the issues one after the other with the view of developing a template for addressing them. We believe this is the best option,” Ighodaro said.